Amidst the collage of people there dwells a divine circuit of thousands of pilgrim who devote their entire life on a journey to wash their sins and seek for shower of blessings from their deity they worship. The sacred land of India bids them to head for long and pristine treks in India dotted with pilgrimage sites belonging to varied religions. 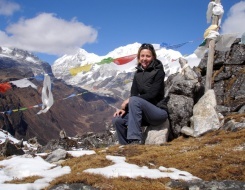 Spiritual treks in India has become quite popular over the years that cover almost the entire range of the Himalaya from Amarnath Yatra in Kashmir to Galden Namgey Lhatse (Tawang Monastery) in Arunachal Pradesh, a Buddhist pilgrimage site. Another most spectacular and divine trek in the Indian Himalayan region in the land of Gods and Goddesses is the Hemkund Sahib Trek, which is a Sikh pilgrimage site. 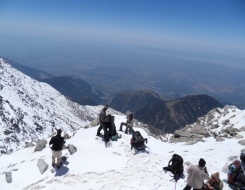 So let’s run down the top 10 spiritual treks in India that leaves an impact upon travelers and pilgrims. 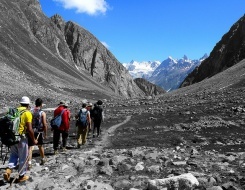 Even if you are not a spiritual guy, the source of the Ganges trek is surely going to make your journey a sublime one. 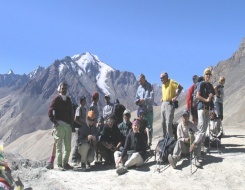 One of the fabled treks in India, it dilates the hues of the Greater Himalaya beyond the civilization into a remote massif that takes you to the world of spirituality, immense natural beauty and wilderness. The sources of the Ganges Trek stretch from a lofty height of 3048 meters, Gangotri, to a mighty elevation of 4570 meters, Nandanvan. 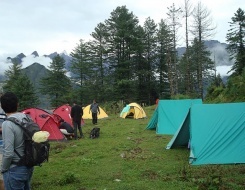 It takes one approximately 10 days to cover the trekking route from Gangotri that can be reached from Uttarkashi. The pious town of Gangotri is popular for its shrine that is dedicated to Goddess Ganga. 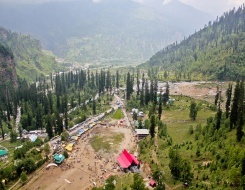 Being one of the Hindu pilgrimage sites among the Chota Char Dham Yatra, Gangotri receive thousands of pilgrim as well as tourist during the peak summer season. 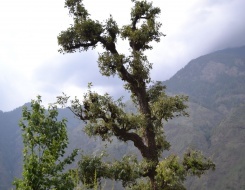 The sources of the Ganges trek head from Gangotri to Bhojwassa en route the thick deodar wood, Birch and thereafter stepping into the wide barren and denuded valley. It then turns on to a haven like pine forest at Chirvasa. 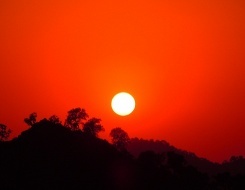 From Bhojwassa, set at an altitude of 3350 meters, one can enchant the sunset. 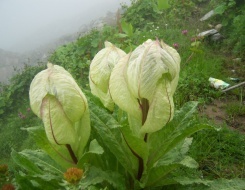 From Bhojwassa, the following morning, the trail ascends through a colorful meadow dotted with wild flowers to Gaumukh that nestles at an altitude of 3850 meters under the shadow of Mt. 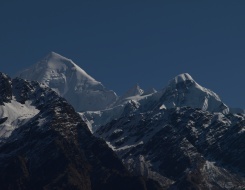 Shivling and secluded by the peaks Bhagirathi I, II and III. It gives an ample opportunity to explore the natural ambiance and offers countless clicks to frame in the photographers’ lens. 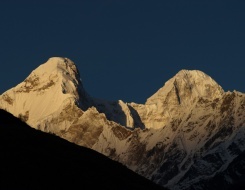 From Gaumukh the trek heads up to Tapovan that clings to a mantrap nature at a lofty height of 4350 meters. 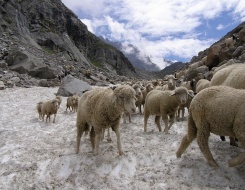 The journey cuts and runs the Gangotri glacier, vast meadows strewn with wild flowers and bubbling springs. Offering a sacred journey further to the rugged terrain, this spiritual trek in India, the sources of Ganges trek also hews out the trail to Kirti Bamak Glacier, at the base of Kedarnath, Kedar Dome, and Meru Glacier, which lies at the base of Mt. 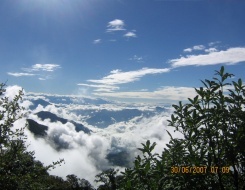 Meru, from Tapovan. 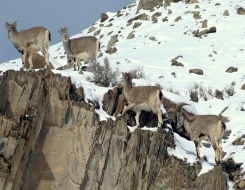 The trail from Tapovan cuts through the Chaturangi and the Gangotri glaciers to Nandanvan and allows one to acquaint the wilderness where one can spot Bharal (blue sheep). From Nandanvan further the trail heads up to the picturesque environment of the Vasuki Tal that nestles at an altitude of 4800 meters. 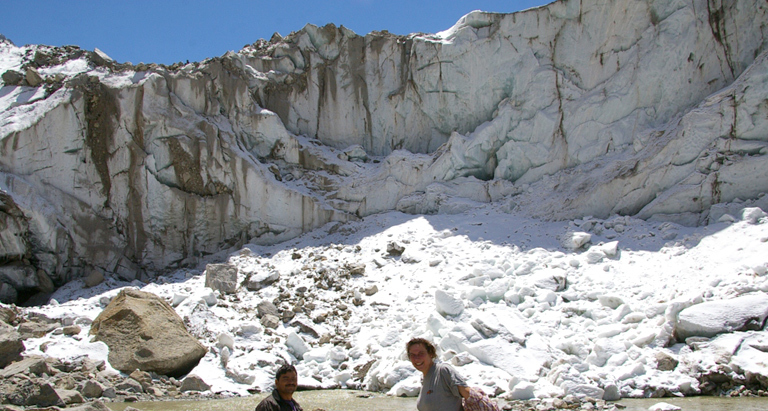 The trail back to Gangotri follows the same route from Nandanvan to Gaumukh and thereafter to Gangotri. 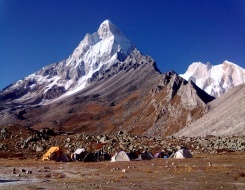 The sources of the Ganges trek is one of the treks in the Indian Himalayan region that fetches both pilgrims and adventurers, both international and domestic. 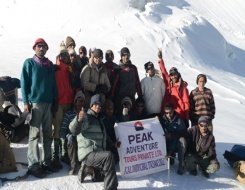 One of the popular spiritual treks in Indian Himalayan region, the Panch Kedar Trek stretches from an altitude of 2134 meters, Urgam, to a lofty height of 3584 meters, Kedarnath. The entire stretch reflects the mythical colors of the Mahabharata where the Pandavas went to the Himalaya to meet Lord Shiva who avoided the meeting due to the Gau Hatya and Brahmhatya committed by the Pandavas. It is believed that in the struggle that followed, parts of Lord Shiva’s body that appeared in the form of a bull surfaced at various places in the Himalaya. The forelegs that showed up at Pashupatinath in Nepal, the rump of the bull at Kedarnath, the torso including the navel at Madhmaheshwar, the arms at Tungnath, the face at Rudranath, and the matted hair at Kalpeshwar… thus forming the Panch Kedar in India (excluding Pashupatinath being in Nepal). 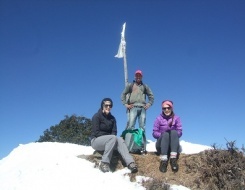 The Panch Kedar Trek not only covers up the five shrines dedicated to Lord Shiva but also allows you to acquaint the remote villages that exhibit an ancient charm. The entire trail from Kalgot to Kedarnath en route Rudranath, Mandal, Chopta, Gaundhar, Tungnath and Madhmaheshwar offers immense opportunity to enamour the nature blessed by the snow capped peaks sequestering the dense forest and lush green meadows rolling down the valleys. After a drive of 2-3 hours from Pipalkoti to Urgam en route Helang the trail up to Kalpeshwar allows you to step in one of the shrines dedicated to Lord Shiva where locks (hair) of lord Shiva are worshiped. 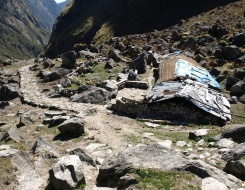 Thereafter the trek, following day, heads for Kalgot, a remote village set at an altitude of 2215 meters, which pops out after passing through a dense forest. 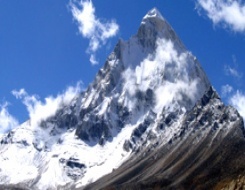 From Kalgot, the next morning, the trail up to Rudranath, which is set at an altitude of 2286 meters, offers the jaw breaking vista of Hathi Parvat, Nanda Devi, Nanda Ghunti, Trishuli and other group of peaks. After visiting the shrine, one can also enchant the tranquil ambiance set near Suryakund, Chandrakund and Tarakund. Acquaint the locals from Sagar village, the next morning, and thereafter the track steers to Mandal and thereafter wheels to Chopta, which is located at an altitude of 2900 meters. 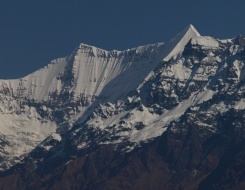 From Chopta the trail ascends to Tungnath, the third Kedar, which is situated at an altitude of 3680 and also known as the highest Shiva Temple in India. 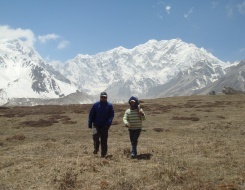 En route the lush green meadows one can enjoy the splendid vista of the entire range of snow capped Himalayan ranges. 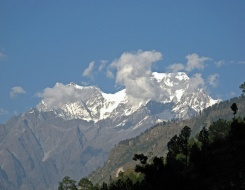 It covers an approximate distance of 3½ kms from Chopta. 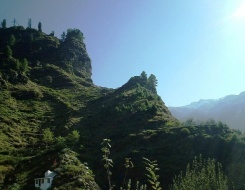 Trailing down to Chopta the following morning the journey steers to Jagasu and thereafter again a steep climb to Gaundhar, which is the gateway to the fourth Kedar, Madhmaheshwar, nestled divinely at an altitude of 3289 meters. From the campsite at Madhmaheshwar one can see the magnificent view of the Chaukhamba, Kedarnath and the Neelkanth peaks. Thereby the trek moves down to Guptkashi followed by another 14 kms of trek to the shrine of Kedarnath en route Gaurikund, where Goddess Parvati committed herself to penance involving many ascetic and yogic practices to win over Shiva’s affections. Here your one of the spiritual treks in India pursue to a pious conclusion and backpacking some celestial peace the journey descends back to Rudraprayag followed by Haridwar. 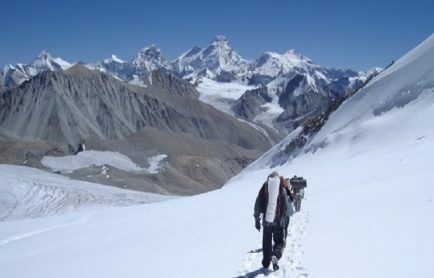 Also dubbed as Chota Kailash, the Adi Kailash Trek is one of the revered treks in the Indian Himalayan region that breaks through a journey taking the mind and soul into the heartland of awe-inspiring natural beauty and splendor. It delivers a panorama of the beautiful snow clad peaks including Annapurna and colors and refreshes the journey with sprawling lush green meadows, thick forest and splashing waterfalls. 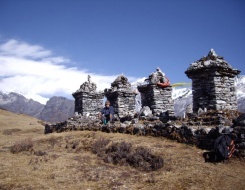 The Adi Kailash Trek that starts from Dharchula is a moderate trek that covers up in 13 days. From Kausani the journey steers on to Dharchula, nestling on the bank of Kali river, where from the trek heads up to Pangu en route Tawaghat, which is the last road head. 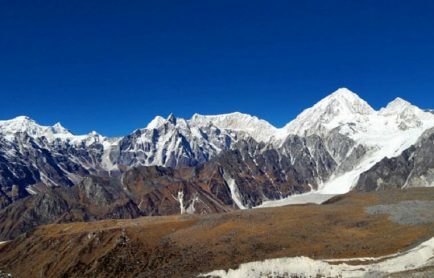 From Pangu, the following day, the trek resumes to Sirkha, which is nestling at a mighty height of 2560 meters. On your way to Sirkha you will come across the Narayan Ashram, set with a backdrop of snow-clad mountains, where you can have your lunch. 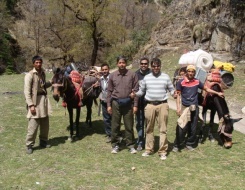 The trek from Sirkha to Lakhanpur en route Jipti follows a steep climb to an altitude of 3100 meters approximately. It passes through the serene ambiance of the Rungling Top wherefrom one can enjoy the breathtaking sight of the Api peak in Nepal. 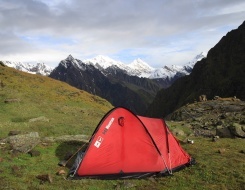 After crossing Simkhola the trail heads up to Jipti and thereafter to Lakhanpur, where you can set your tents or can stay in one of the Dhabas. The journey from Lakhanpur to Budhi via Malpa is as mesmerizing and refreshing as it is challenging. Following the river Kali, the trek of 15 kms passing through a narrow path all along the edge crosses a giant waterfall followed by streams. The scenery on route is very beautiful with roaring Kali river, green valley and waterfalls and obviously trekking in the Himalayan region is akin to pilgrimage and one must be prepared to face all kind of difficulties. 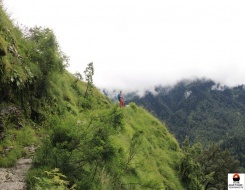 After crossing Malpa village the trail turns to a moderate climb to Budhi, which is tucked at an altitude of 2680 meters. Crossing the Chhialekh meadow while heading towards Garbyang… if your luck permits, you are going to feast your eyes with the striking views of the snow clad peaks. The point to note here… “The route is bit slippery”. 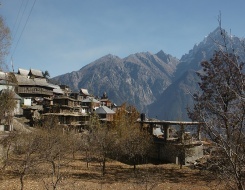 Garbyang, which is one of the remote and pristine villages in the Adi Kailash Trek route, was once the main centre of trade with Tibet, which closed down in 1962. Crossing Gunji, which is approximately 10 kms from Garbyang, the trail heads up to Kuthi, another remote village and the last one on the Indo-Tibetan border on this part. 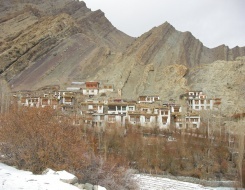 Kuthi is nestled at a lofty height of 3780 meters. 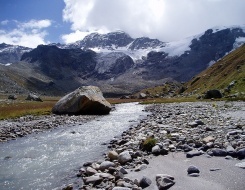 It passes through Kalapani and to Lipulekh pass, which is used by Kailash-Mansarovar pilgrims. You can try out Sattu here. It is a preparation made from the roasted wheat or maize which was soaked in local beer. En route Nampha, after crossing a log bridge, the trekking path turns gentle and smooth passing through the lush green meadows. 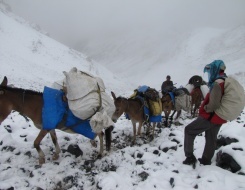 The following day from Kuthi heads for a continuous climb to Jollingkong, which is approximately 15 kms away and is secluded at an altitude of 4670 meters… NO SHOPS, NO CIVILIZATION, NO VEGETATION … BUT RUGGED TERRAIN, CHILLING COLD and DIVINE HOPES. 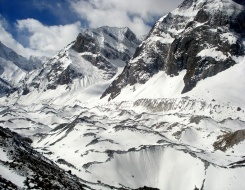 From Jollingkong, the next morning, the trail heads up to the base of Adi Kailash. 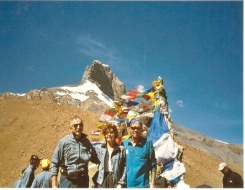 If you are lucky enough… you surely get hold of some eternal capture of Adi Kailash, which is a replica of Mt. 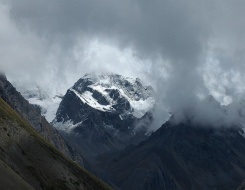 Kailash in Tibet. 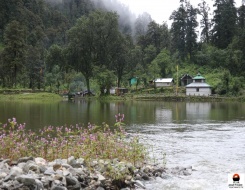 From the base a mere 1 km of trail you will head up to the serene emerald green Parvati lake. On your return to Dharchula, you can come across the Shin-la Pass or you may follow the same route down from the base of Adi Kailash to Dharchula via Kuthi, Gunji and Bundi. An abode of many historical and pilgrimage sites, Himachal Pradesh boasts of several exciting spiritual treks that lead to a reverent journey to the sacred temples. 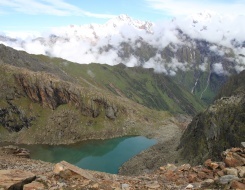 The Mani Mahesh Lake Trek is one of the godly treks in India that reverberates the mind of thousands of pilgrim from different corners of India and fetches adventurers from parts of the world. 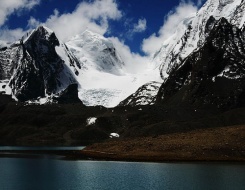 It stretches from the sublime land of Mcleodganj, which is often dubbed as Little Lhasa, to Manimahesh Lake, which is said to be one of the abode of Lord Shiva as per the Hindu mythologies. The journey breaks out heading towards Kareri village, which cuts across a thick jungle following the Gaj River and Kareri stream. 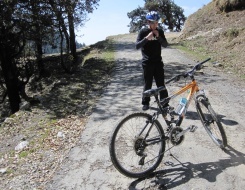 The trail from Ghera to Kareri village picks up a steady climb to an altitude of 1900 meters. 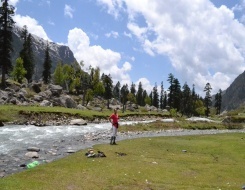 Thereafter further 12 kms of trek along the Kareri nullah you head up to Kareri Lake nestled at the base of Minkiani Pass amidst the sprawling meadows and big pastureland. The next morning the steep trail will lead you to Minkiani Pass, where you can expect few patches of snow layering the valley. En route the pass the trail turn towards Minkiani Got that is set at an elevation of 3500 meters and is approximately 10 kms away from Kareri Lake. 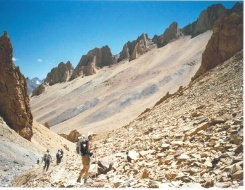 The entire route from Minkiani Pass to Minkiani Got descends through thick boulder making the trail moderate to challenging. The following day heads to Lam Dal Lake, which is said to be another abode of Lord Shiva and is tucked beautifully at an altitude of 3900 meters. 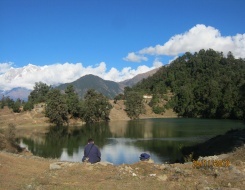 It is considered as the biggest lake in the Dhauladhar Range. 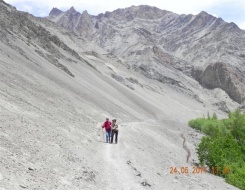 After a holy dip in the crystal clear water of the Lam Dal Lake the trail heads down to Minkiani Got and the next morning the trail further descends to Drakund, at an altitude of 1800 meters. From Drakund the journey moves up to Bharmour en route Dunali. 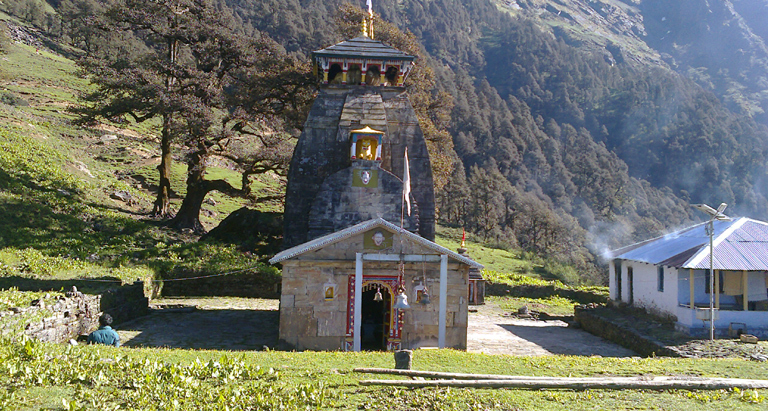 In Bharmour you can pay a divine visit to the ancient Chaurasi Temple. 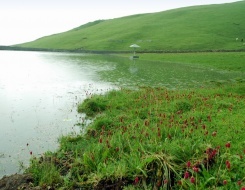 From Bharmour to Dhancho en route a drive to Hadsar you reach at the base camp of the Mani Mahesh Lake. The following morning heads a steep ascend towards the Mani Mahesh Lake that is divinely nestled at an altitude of 4115 kms. Secluded in between the Dhauladhar and Pir Panjal Range the lake is one of the high altitude lakes in the Indian Himalayan region and thousands of pilgrims takes a sacred bath in the pristine water of the Mani Mahesh Lake. Back to the base camp your trail down to Bharmour starts the following morning and thereafter to Kareri Village. 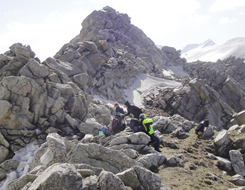 A dreamlike trek in the Indian Himalaya region and also a grapevine to many trekkers and pilgrims… the Kinner Kailash Trek, which is also dubbed as the Kinner Kailash Parikrama, is one of the sacred journeys to one of the mythical abodes of Lord Shiva and Mata Parvati. 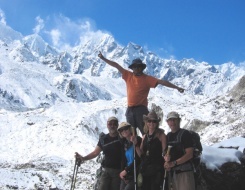 The altitude stretches from an elevation of 2900 meters to 5242 meters offering the trekkers and pilgrims a moderate to challenging trek en route some remote villages, streams, deep valleys and mountain passes. 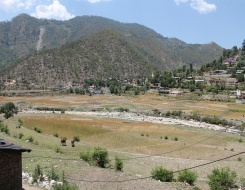 From Shimla drive up to Tangling, which is a small hamlet on the left bank of River Sutlej housing a beautiful temple that is dedicated to the local deity Nag Devta. Off the ramp passing through the orchards the trek heads up to a tranquil halt following a fresh water stream that comes directly from the Kinner Kailash Mountain range. On your way to Ashiqui Park from the camp site close to the stream, there are two popular halts, the Bara Pathar (Big Stone or Rock) and Bara ped (Big Tree). Cutting and running the dense Deodar wood followed by a lush green meadow the trail thereafter heads up to Ashiqui Park. Being tucked at a lofty height, one can capture the panoramic view of the Kinner Kailash mountain range from this vantage point, Ashiqui Park. 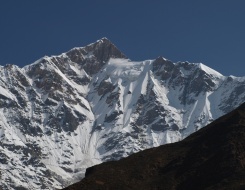 From Ashiqui Park, the next morning, the journey climbs up towards Bhim Dwar. 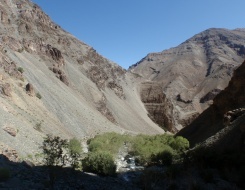 It is around 3-4 Kms from Ahsiqui Park at 4100 meters… and hence you can expect a steep climb just before a gradual descend to Bheem Dwar en route a frozen stream. 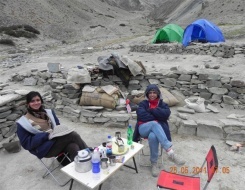 Bheem Dwar is a small cave cloistered under big rocks and provides an ideal place for camping. Moving up further towards Kinner Kailash the track winds toward Parvati Kund, this is approximately 3-4 kms from Bheem Dwar. 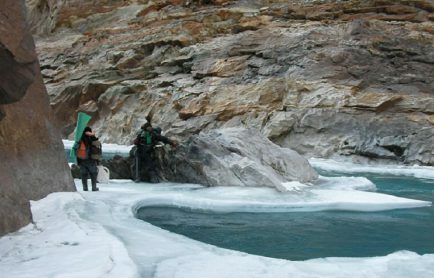 Parvati Kund, set amidst the snow bedded mountain slopes and huge rocks, is a small glacial lake that remains frozen most of the year and many pilgrims worship here for the blessings of Mata Parvati and Lord Shiva to safely complete the journey to Kinner Kailash. Thereafter from Parvati Kund to Kinner Kailash peak there is a vertical climb of around 2.5 Kms which can take approximately 3-4 hrs to cover. 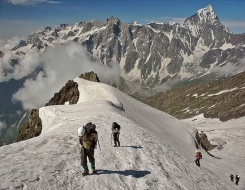 The entire route passes through moraines, small caves and patches of snow bedded on the slope. Kinner Kailash Shivling is a sacred rock, which is about 79 feet high and 30-40 feet wide, worshipped as the Lingam of Lord Shiva. One could feel the aura of sacredness here and becharm the vast stretch of the Great Himalayan Mountain Range spotting peaks like Mt. Jorkandan and Mt. 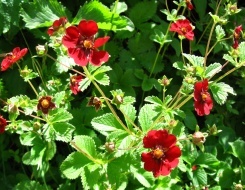 Rangrik . You can spent considerable time here before returning to Ashiqui Park. 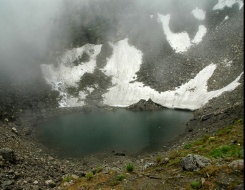 Secluded amid the Garhwal versant bedded in snow, the Satopanth Lake, sparkling at an altitude of 4600 meters, is one of the high altitude lakes in the Indian Himalayan region that is also considered to be of religious significance to the local people. It is believed that Brahma, Vishnu and Mahesh (Hindu Gods), take bathe in the lake in an auspicious day. So that fetches thousands of pilgrims to head for the sacred journey… the Satopanth Lake Trek, which is one of the shortest and challenging treks in the Indian Himalayan region. It only pulls in pilgrims seeking for divinity but the tranquil and serene ambiance often attracts travelers seeking for adventure and photography. 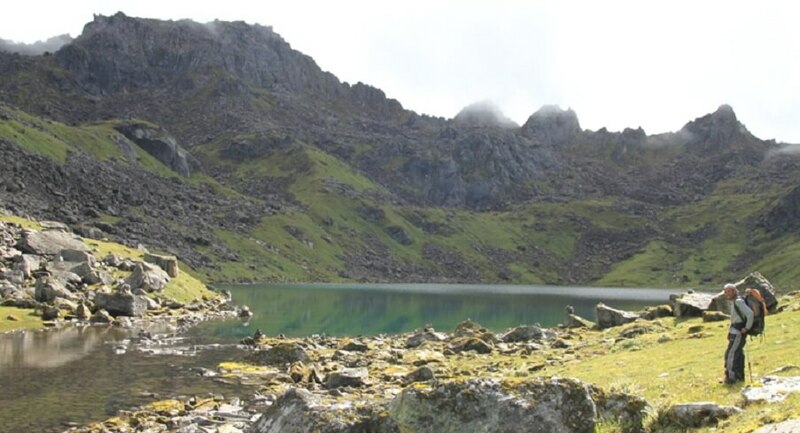 The Satopanth Lake trek starts from Mana, a remote village that is 3 kms up from Badrinath (one of the Hindu pilgrimage sites noted for Char Dham Yatra) nestled at an altitude of 3200 meters. The actual trek stretches from an elevation of 3600 meters, Laxmivan, which is approximately 10 kms up from Mana to an elevation of 4600 meters at the base of Balakun Peak, Kuber Top, Mt. Nilkantha, and Mt. 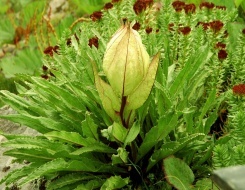 Swargarohini. Way towards Laxmivan… the trail beholds some sprawling natural hues and one of them is the Vasudhara Falls. 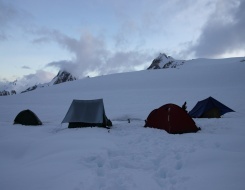 Thereafter crossing the Dhano Glacier the journey leads toward Laxmivan where you can set your camp for the night. The following morning heads to Chakratirath, which is approximately 6 kms away and the journey is filled with some spectacular view of the farfetched snow capped mountains. From Chakratirath the track winds to Satopanth Lake… approximately 10 kms away. 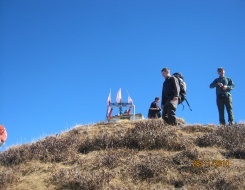 One can also enchant the mighty Nilkantha Peak from the base. Down the track, the trail heads the same route to Badrinath and thereafter to Rishikesh en route Joshimath. One of the popular, short and easy treks in the Garhwal Himalayan region the Hemkund Sahib Trek stretches from an elevation of 2050 meters to 4329 meters. Hemkund Sahib that is perched at a lofty height overlooking the pristine and crystal clear waters of Hemkund is the highest Gurudwara of Sikh community. 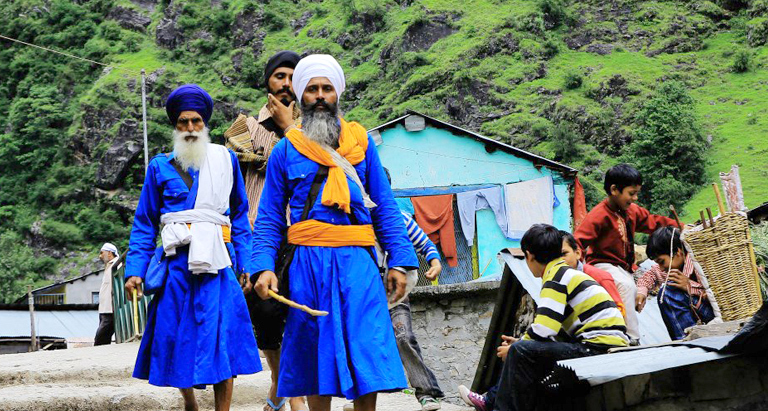 But it not only attracts Sikh pilgrims… thousands of tourists and adventurers belonging from different religion perk up for this picturesque trek in the Himalayan region. The sprawling and colorful hues nestled in a valley tucked atop in the Nanda Devi National Park… The Valley of Flowers is also a major attraction on this trek that turns from Ghangria. 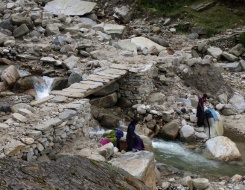 The trek to Hemkund Sahib starts from Govindghat that is approximately 22 kilometers from Joshimath. 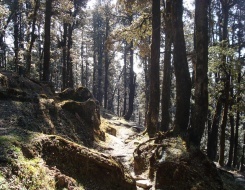 From Govindghat backpack towards Ghangria that is secluded at a lofty height of 3000 meters in the midst of a dense pine grove. 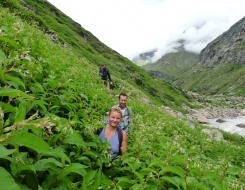 The trail from Ghangria to Hemkund offers a rejuvenating hike amid the dewed nature. 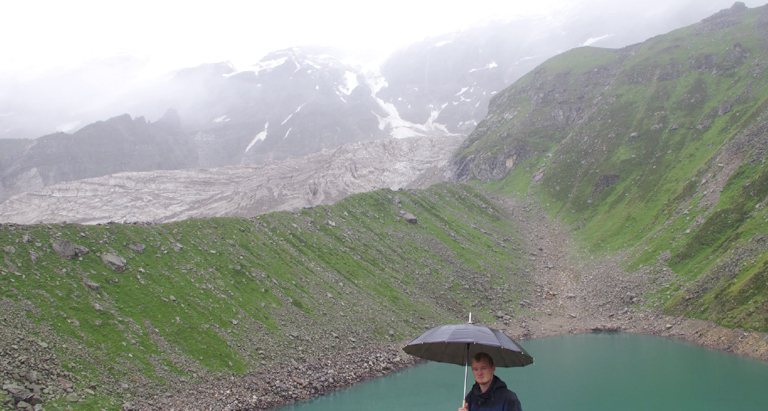 It takes approximately 5-6 hours to reach Hemkund Sahib. It is an imposing star-shaped structure of stone and concrete masonry in one the shores of the lake that is surrounded by seven mountain peaks and each peak adorned by a Nishan Sahib on its cliff. An outlet behind the Gurudwara is source of the Lakshman Ganga. There is a temple that is dedicated to Lord Lakshman. Back to Ghangria… the following morning winds to Valley of Flowers that was discovered by Frank Smith while on the expedition to Mt. Kamet. This picturesque Valley covered by rare species of flowers and a wide variety of Butterflies, Musk Deer, Thar and serow… makes it an ideal capture for an adventurer seeker and photographer. Yamunotri that is perched at a mighty height of 3293 meter is a popular Hindu pilgrimage site where nestles the shrine of Goddess Yamuna, one of the Hindu deities. Being one of the four sites in India’s Chota Char Dham pilgrimage… Yamunotri is frequented by thousands of devotees during the peak season. Nonetheless Yamunotri is also regarded as the source of the sacred river Yamuna, though the original source lies in the Yamunotri Glacier, at a height 6,387 metres, near the Bandarpunch peaks in the Lower Himalayas. 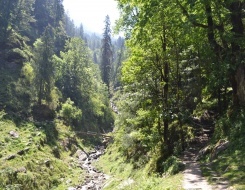 The mighty holy town, Yamunotri is a gateway to numerous treks in the Indian Himalayan region and one of the shortest and easiest is the Yamunotri-Saptrishi Kund Trek, which is approximately a 10 kms trail up. The entire trail from Yamunotri that curves en route patches of snow and exotic sight scenery… unfolds you to a state of nirvana when you tie-up with an unfazed vicinity in the midst of the Saptarishi Kund on the backdrop of sickle-shaped moraines, which captures the spectacular horizon of the partly visible peak of Bandarpunch. With its crystal blue waters, pebbly banks and the rare display of Brahama lotus, Saptrishi Kund at an elevation of 4421 meters…beholds delightful scenery, making it niche solitude for travellers and pilgrims. Kedarnath is one of the popular Hindu pilgrimage sites that is alighted at a lofty height of 3553 meters and holds a shrine, which is dedicated to Lord Shiva, making it one of the four sites in India’s Chota Char Dham pilgrimage tour. The Kedarnath site, on the banks of River Mandakini, is the most remote of the four sites that is located close to the Chorabari Glacier and is flanked by breathtaking snow-capped peaks. 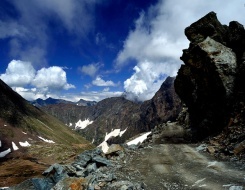 It can be accessible after a short trail of 14 kilometers from Gaurikund en route Rambara and Garur Chatti, which is the nearest road head that connects Kedarnath to other parts of Garhwal Himalaya. 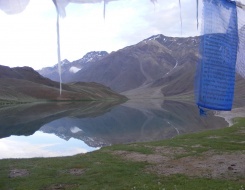 Well… beyond the pilgrimage site lies another serene and pristine beauty that is set in the midst of mountains layered with snow… the Vasuki Tal that offers a spiritual aura. It is approximately 8 kilometers up from Kedarnath and the thrilling trail allows you to acquaint the wildlife along with sprawling natural hues. 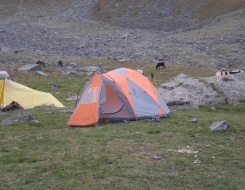 Camping at the shore of this glacial lake is a unique part on your holy trip to Kedarnath. Often few travellers seek for a niche break and heeds to explore the secluded life dwelling in the country. That counts… when you think of a remote destination that is perched somewhere away from the clamour and glamour of the cityscape. 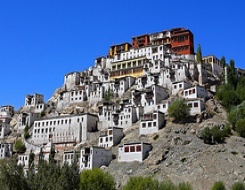 It pulls in travellers from different parts of the world, not only to explore the unique culture and lofty and hard lifestyle of the Indo-Tibetans… but also to acquaint the rugged terrain dotted with wild species and ancient rock cut inscriptions. 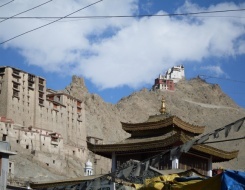 The Zanskar region brings forth the Phugtal Monastery Trek that beholds the eyes of Buddhist pilgrims far from South-Asian countries as well as trekkers and travellers from parts of world. 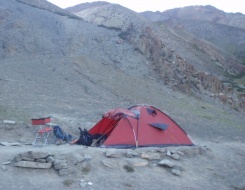 It is a grapevine among the trekkers when it comes to trekking in the Zanskar region. 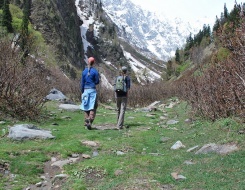 The trek to Phugtal Monastery starts from Raru en route Padum, which is the last road head. 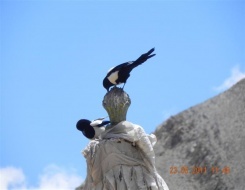 Padum is approximately 170 kilometers away from Leh and it takes 9-10 hours to cover the distance. From Raru the track winds up to Chatang passing through a deserted terrain. 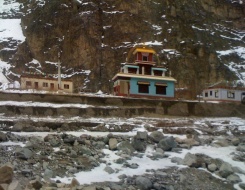 Chatang is an isolated village that counts only four or five huts. From Chatang the trail heads up to Purne… which is a junction to some of the major trekking routes in the Zanskar region. 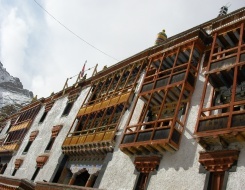 The following day the trail climbs up to the Phugtal Monastery or Phugtal Gompa that was built by Gangsem Sherap Sampo in the early 12th century. At present it houses more than 50 monks, a library and prayer rooms. What fetches travellers is the unique structure of the monastery that clings to the Cliffside like a framework at the mouth of a cave.